Ready to meet some more of the wonderful pooches you can find at Orphans of the Storm®? Duke the one-year-old Labrador Retriever/Pit Bull Terrier mix (not to be confused with the other Duke) is a volunteer favorite; they’re really hoping he gets adopted soon. He is probably having a hard time getting adopted due to Black Dog Syndrome. As I’ve said, and will continue to say, a Lab is a Lab is a Lab regardless of its fur color. Duke is a strong boy, and a happy boy. He is excited to investigate everything going on around him, whether it be smelling under some bushes or watching other dogs and people walk by. He’s still young, so he’s ready to please his lucky new owners and do a good job with his future training. 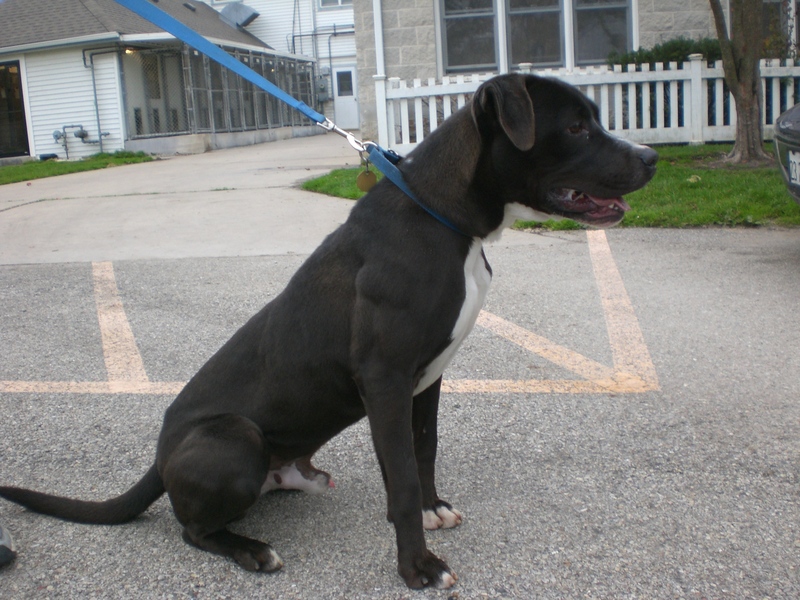 If you’re looking for a younger dog, consider Duke! Momma the four-year-old Shepherd/Pit Bull Terrier mix is a pretty, pretty dog. She is super friendly and doesn’t try to hide it. She currently enjoys jumping up to say hello to whoever happens to be standing closest to her and will lick your face if she gets close enough. Momma currently has a kennelmate whom she gets along with very well, so she would be able to go into a home with another dog. 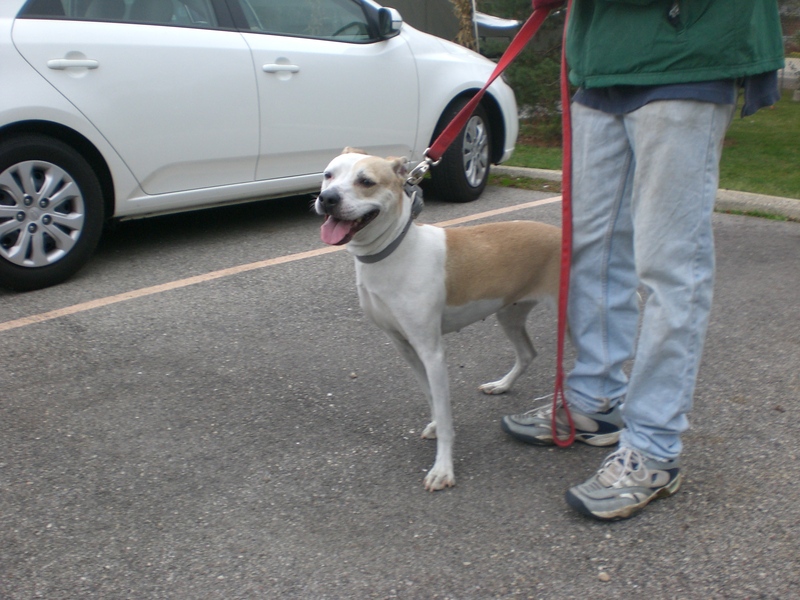 She would be thrilled to have a new home with some new playmates, whether it be human or dog. Momma can’t wait to shower her new family with affection! Eli the four-year-old Pointer mix is Momma’s kennelmate at the moment. 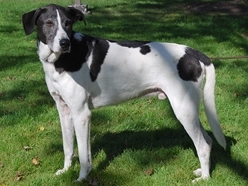 You don’t often see Pointers at Orphans of the Storm® (though there are a couple there right now), so if you think that might be the breed for you, hurry in to meet Eli! Eli is a very affectionate dog. I wasn’t even able to get good pictures of him myself, because every time I knelt down to get a picture of his face, he bounded over and tried to climb into my lap and cover me in kisses. 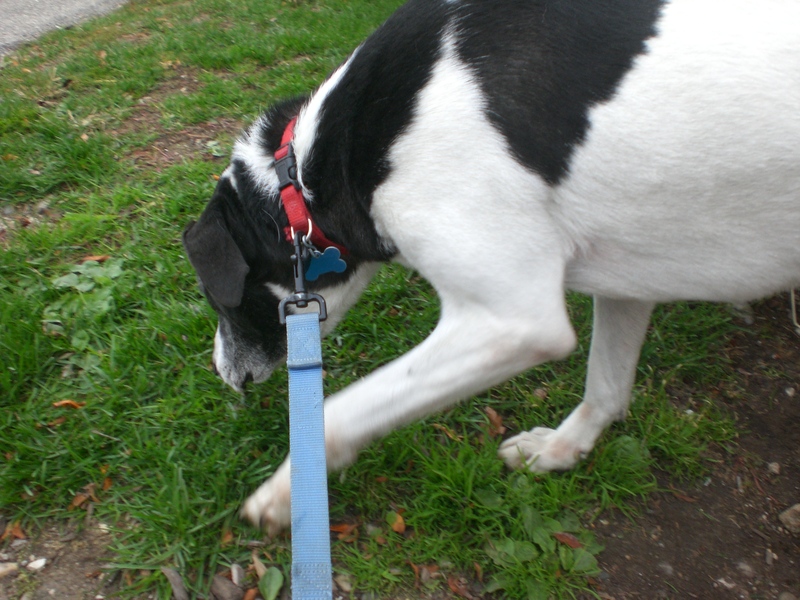 Eli is such a handsome dog, though, with his black-and-white markings. (He and Momma actually look very good together.) 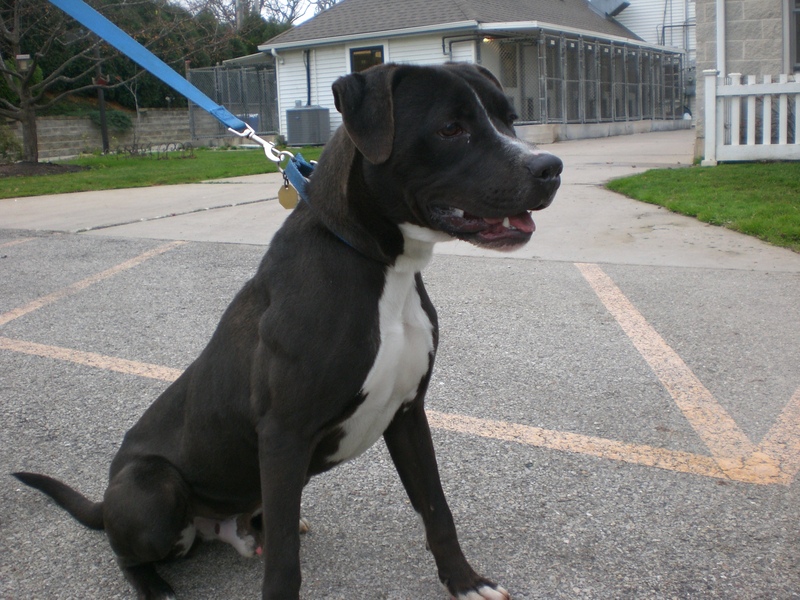 If you’re looking for an energetic, lovable new friend, stop by and see Eli! 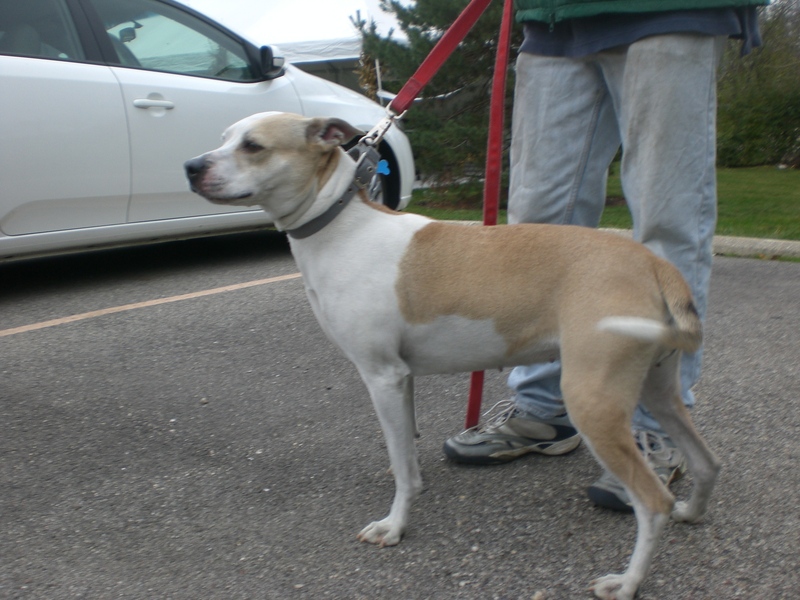 Posted by Meet the Pooches on November 14, 2012 in Dog Profiles and tagged adoption, animal shelter, Chicago, dogs, Labrador Retriever, Orphans of the Storm, pets, Pit Bull Terrier, Pointer, Shepherd.